EMC Unified Infrastructure Manager for Provisioning is a great product! It saves you a lot of time and helps you to automate a lot of tasks. The product has been in constant development and starting from v 3.0 finally became a product you would use on a regular basis. The upcoming new version of UIM/P (codename Nimbus) is even better and has a lot of new features which I am planning to review shortly. There is one very useful feature which is not available in the current version 3.2 and will not be available in new version of UIM/P (Nimbus), at least at the time of GA release. I am talking about thick LUN provisioning. Thick LUNs offer better performance than thin LUNs and should be used for any applications that require top storage performance. MS Exchange, Citrix Write Cache etc etc. By default, UIM/P will create all LUNs as thin LUNs and you need to perform additional tasks to make them Thick. Create the LUN in UIM/P as thin LUN and then use LUN migration tool to convert it to Thick. 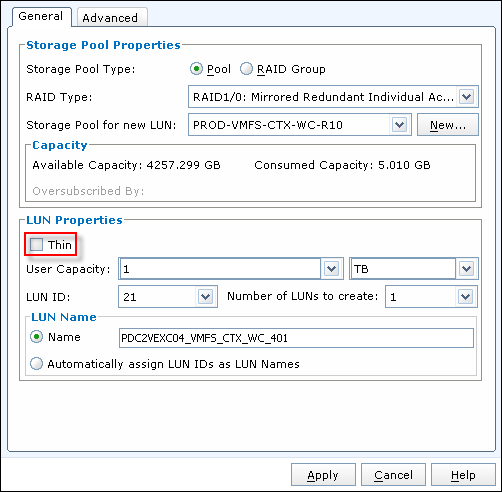 There are a couple of things you need to bear in mind: 1) You MUST have enough space on the backend VNX before converting LUN from thin to thick; and 2) Converting the LUN WILL affect the performance of the entire array. 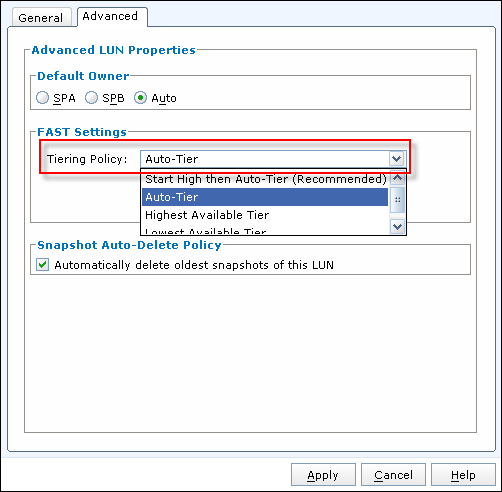 Create the LUN as think LUN manually and then use EMC UIM/P SAU (Service Adoption Utility) to import in into the Service. Storage Array performance is the deciding factor for me and, unless the LUNs have already been provisioned and are in use, I prefer the second method, the SAU! Here I will be creating three Thick LUNs for Citrix Write Cache and import them into a service provisioned for a Citrix cluster. Go back to UIM/P and refresh the Service. 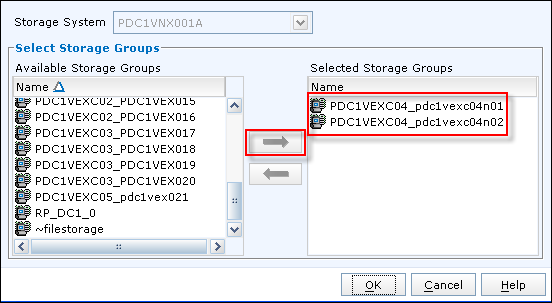 Click on Synchronise to create datastores and format them with VMFS. Thanks a lot for this wonderful post. I’ve a question regarding the SAU. For example, after a service is provisioned through UIM, if we decide to change the management ip of ESXi hosts, can we modify the service in UIM through SAU to reflect the changes we made? Instead of creating a thick lun in vnx/vmax and adopting using SAU, can we automate provisioning of thick lun by modifying the luntype.xml file.? If so can you please share the procedure.. Very good tutorial Mark. Keep sharing your knowledge.